Legendary buck is one of the rare animals in Red Dead Redemption 2. It’s a male deer of epic proportions, and you’ll have to hunt it down if you want to complete Hosea’s map. A lot of players are having trouble finding this beast, even when they get to the general area the game sends them to. If you’re stuck with the same problem, our Red Dead Redemption 2 legendary buck location guide will help you. 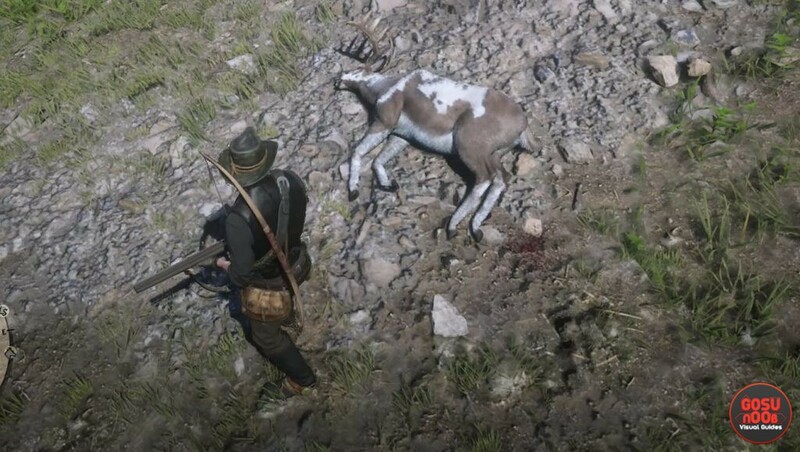 Where to find legendary buck in RDR2? The legendary buck lives in the burned forest northwest of Strawberry, in the Big Valley area. Once you get in the general area, the game will notify you that you’ve arrived. You’ll then have to track the animal down. This one’s a bit tricky, as it’s not a predator – it won’t try to defend itself. Instead, it’ll try to run away. You should aim to take it down as quickly as possible, so it doesn’t lead you on a chase across the woods. Use deadeye, long range weapons (a bow with poison arrows would be useful here) and aim for the weak spots (the head is always a good choice). One issue a lot of people are having is seeing the message that warns you about too much activity in the area. The game says it won’t allow you to track the animal while there’s a lot of activity, but it seems like the legendary animal won’t even spawn while things are like that. You’ll need to clear it up a bit before you can go on with your hunt. The problem is, you won’t know who’s causing all that activity, since the game won’t tell you. It could be a random carriage going down a nearby road, a couple of poachers stalking their prey, or a group of bandits lying in ambush. You’ll have to sweep the area and deal with any undesirables you run into. You can also set up a camp at the edge of the area, then sleep until the problem resolves itself.